What do broken records really sound like? I tried to Google that, but all I found was a bunch of wannabe etymologists debating words and this one youtube video. So let’s go with the assumption that a broken record is something or someone who repeats and repeats and then just for fun repeats again. Because, you know I’m talking about Fashion Revolution Day, again. And asking you to ask the question ‘Who Made Your Clothes?’, again. I would apologies for the repetitive nature of this weeks posts, but alas I don’t want to - so I won’t. My Mother always said I was stubborn. I will tell you that I’ve been doing an inordinate amount of research, reading, watching, listening and just general soaking up of knowledge about ethical fashion, sustainable fashion, transparent supply chains, safety accords, environmental impacts, codes of conduct and minimum wages - among others. And despite all that knowledge soaking, I’ve yet to find a solid footing to base an opinion, an action, a way forward. There are the obvious points. The people that grow our fibres, produce our fabrics and make our clothes need more support - both financial and otherwise. The companies that contract these people to do that growing, producing and making need to do so in a more ethical and sustainable manner. 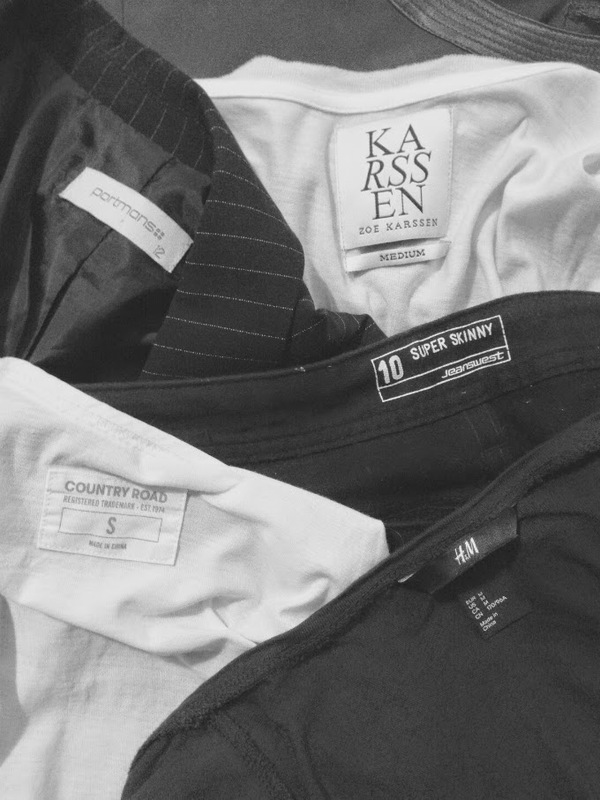 We, as consumers, need to think more about our purchases - do we really need another white shirt, another pair of black pants, another anything? We, as a community, need to assess the amount of textiles littering landfills, around 26kg for each of us every year according to a study by Cambridge University. It would be easy to come up with an obvious answer too. No more cheap fashion, boycott the high street and the shopping centres and malls. But such a knee jerk reaction to a very big issue ignores the fact that millions of people, around 26 million in fact, in fields, factories and stores rely on at least a modicum of our desire to buy fashion to survive. The clothing and textiles industries make up more than 70% of exports in Bangladesh, Cambodia and Pakistan. Boycotts have the real potential to do more damage than good. So before we campaign for the death of cheap fast fashion, before we walk away from the high street and cram ourselves into op shops and second hand stores, before we resolve to wear hemp - and only hemp, let’s start with asking questions. Like Who Made Your Clothes? So maybe I do have a solid footing after all. Because what I gleaned from all my knowledge soaking is that we cannot devise the answers until we ask the questions.